When they offered to send me the PS Audio Stellar Gain Cell DAC, I admit, I was hoping for one of their DirectStream DACs, both because I find their philosophy intriguing and I am kinda looking around for a new reference DAC (as much as I love my old Wolfson, it is getting long in the tooth and does not support the higher resolution formats such as 24/384 kHz or DSD 128 and beyond, and I feel it is time to move up to a discrete component DAC). That being said, like the Sprout, the Stellar Gain Cell DAC is a return to PS Audio’s roots, maximum performance for minimum expenditure, and stresses what I consider to be the most overlooked and most important feature of a DAC the Preamp (IE: the analog section). It matters little how well your DAC recreates the original analog signal if the analog section isn’t able to pass that signal in a musical way. PS Audio begins by taking all input signals into the Gain Cell DAC in Native Mode, (without upsampling) and feeding them directly into their proprietary “Digital Lens”, a simplified FPGA known as a CPLD (Complex Programmable Logic Device), which discovers sample rate and format, reclocks all incoming data, reduces jitter, waveshapes data output to the DAC chip, and utilizes high speed/low gate count logic to reduce propagation delay for faster throughput. The output of the Digital Lens is fed to a 32-bit ESS Sabre Hyperstream architecture DAC chip which is in turn fed through a passive filter to reduce transient distortion (the Stellar offers a choice of three different digital filters to accommodate the listener’s preference). The heart of any piece of audio gear is the power supply and PS Audio has cut no corners in this regard, running their large analog transformer through seven regulators, properly bypassed high speed switching diodes, and a massive 15,000 mFd of storage capacitance. The output stage is a fully balanced, direct coupled, Class A, hybrid array (utilizing both discrete semiconductors and ICs) with an extended bandwidth of -3dB at 60 kHz feeding directly into the Stellar’s Gain Cell, that is voiced to optimize both DSD and PCM. PS Audio’s Gain Cell, invented by Paul McGowan, is their unique way of dealing with volume control, rather than introducing something into the audio stream that will degrade the sound, they use a Gilbert Cell variable gain amplifier (meaning the gain of the amplifier changes rather than the strength of the output signal). The Stellar incorporates a full analog preamp in its design with analog inputs (3 RCA Single Ended and 1 XLR Balanced) bypassing the digital circuitry on their way to the analog outputs (1 RCA Single Ended and 1 XLR Balanced). Also included are two trigger outputs for external amplifiers. For Digital inputs you have one optical, two coaxial, one Asynchronous USB (capable of 24/192 kHz PCM, as well as, DSD64 and DSD128 via DoP), and one I2S for higher sample rates and Native DSD transmission (PS Audio offers transports with I2S output including an SACD player). In appearance, the Stellar is elegant and minimalistic, with a rolled aluminum chassis and only two controls on the front panel, volume and select, along with a single-ended ¼” headphone jack. It is large by Personal Audio standards but is standard audio component size, 17” x 12” x 3”. While the front panel controls involve a multi-layer menu system, the remote control gives direct access to many features for on the fly use including: separate On and Off, HT (Home Theater bypass), Volume Up/Down, Dim (display off), Balance Rt/Lt, Mute, Filter (digital), Phase (absolute phase reverse) and In 1-9 (direct number input select). It is possible to preset a maximum output for both line output and headphone output independently (100 on the volume control is +12dB, line level is 76 on the volume control) and there is a selectable fixed line out (Note: this affects the headphone output as well so it is not recommended to toggle this with headphones connected). Having heard the Sprout, I pretty much expected the Stellar to be the best sounding implementation of the ESS Sabre DAC chip I have heard, but I did not expect it to sound as good as it does. I began my listening tests with the Stellar in DAC only mode, running through my two Questyle CMA800R Headphone Amplifiers in dual mono balanced driving the MrSpeakers ETHER C Flow Orthodynamic Headphones. One small note, owners of the PS Audio Stellar Gain Cell DAC will want to invest in an I2S bridge if they are going to use it with a computer. While the USB set up is pretty straight forward and works well, the added bandwidth required for DoP can make things tricky (I experienced a clicking during DSD playback and was forced to change cables), and you won’t have access to playback of sample rates higher than 192 kHz running USB. The real test for a DAC is its performance with 16/44.1 kHz, so I began with that, selecting the Robert Shaw performance of Stravinsky’s “The Firebird Suite”. 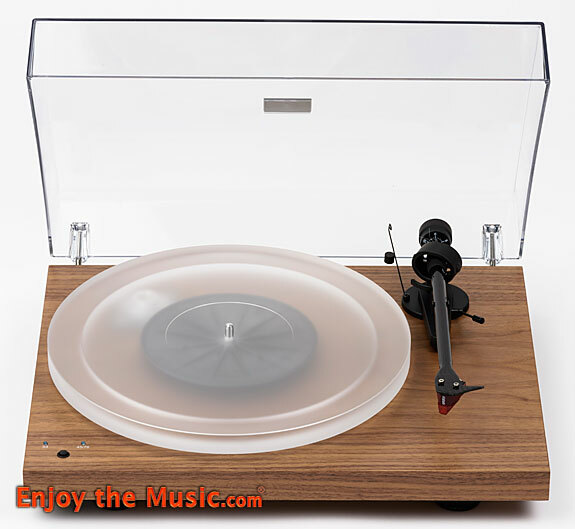 The musicality presented by the combination of the Digital Lens and PS Audio’s analog section was unprecedented, providing a laser flat, neutral tonal balance, with extension deep into the subsonic as well as the ultrasonic. The detail was such that it produced a huge soundstage with the individual instruments portrayed separately in their own space, with their own individual timbre and sense of air. And the musicality was astounding. Even the harshest of instruments, such as trumpet or violin were put forth as a honeyed ideal. Switching up to the 24/96 kHz vinyl rip of the same recording offered almost negligible improvement as the slight uptick in resolution was sullied by the basic issues of vinyl so good was the Stellar’s reproduction of 16/44.1 kHz, which is praise indeed for a Sigma/Delta DAC. A full run-through of Yes’ “And You And I — I. Cord of Life, II. Eclipse, III. The Preacher the Teacher, IV. Apocalypse” from Close To The Edge in DSD, bore out the full meaning of Digital to Analog Converter with an emphasis on Analog. Again the musicality was such that you were transported to the studio and listening to the performers, not the recording. A quick cable change (to single ended) and engaging the Gain Cell awarded me with a straight from the DAC sound with amazing dynamic range and musicality. A listen to “Can-Utility and the Coastliners” by Genesis (Foxtrot – 16/44.1 kHz) revealed deep controlled and uncolored subsonic bass and extreme clarity in the mids and highs. Vast is the word I would use to describe the sound of the Gain Cell, without any noticeable change in tonality, there is an increased sense of presence to the music. Despite the copious levels of power available (Even with the ETHER C Flows I was able to reach extreme volumes with it set around 50 to 60 depending on the recording), the noise floor was low enough to comfortably listen with the Nobel Katanas, in fact the musicality and epic sound stage made it very difficult to go back to standard headphones, Dario Baldan Bembo’s rendition of “Non Mi Lasciare” (16/44.1 kHz) was soul-wrenching. Reproduction of piano was spot on as was evidenced by playing “Wedding Rain” by Liz Story (Solid Colors – 16/44.1 kHz), offering a rich delicate yet resonant Steinwayesque timbre in an immense concert hall. Swapping out for the MrSpeaker AEON Flow Open Headphone provided a fun poppy environment for “Getting In Tune” (The Who – Who’s Next – 16/44.1 kHz) warmly enhancing the interplay between Nicky Hopkins’ piano, Entwistle’s bass, and Keith Moon’s percussion. Even the 1MORE Triple Driver Over-ear Headphones (which I used to burn in the Stellar) reproduced Louis Armstrong’s “What a Wonderful World” (Single version – 24/192 kHz) with unprecedented honeyed musicality. The PS Audio Stellar Gain Cell DAC works exceptionally well on every front, as a DAC, as a Preamp, and as a Headphone Amplifier. It is extremely linear in tonality, almost honeyed in musicality, it is one of the most analog sounding DACs I have listened to. Yet the resolution, even with 44.1 kHz, is so high as to present an epic soundstage. It is extremely forgiving of both hardware and software (sonically, as stated earlier, I did have some USB cable issues with the DoP), yet it can provide world-class performance from high-resolution files on reference quality Headphones. I believe it to be the pinnacle of what can be achieved with a Chip based DAC and would label it a reference DAC if not for the fact that PS Audio produces a DAC that they consider to be higher performance. As a Headphone Amplifier, you would be hard pressed to find a headphone that could not be driven single ended by the Gain Cell, and I am happy to place it among my favorite solid state amplifiers. All in all, an epic effort and fully deserving of wholehearted recommendation. Gary Alan Barker is a writer who has been a member of the Audio Industry since 1978, having acted as technical writer for several high-end audio companies, and been an electronics hobbyist since 1960. He has also been a musician and writer since the mid 1960s.